I don’t get to join in with these link ups very often so I have to make the most of it when I can! With my babies living opposite ends of the country getting everyone to the same place at the same time takes organising 4 calendars, trains from Scotland, route planning from the West Midlands and me stocking up on enough tea and biscuits to sink a battle ship! But last weekend we managed it and in honour of G’dad T’s 70th birthday we all converged on Keynko HQ and a splendid time was had by all! So here they are, my beautiful babies! What can I say, that I haven’t said before? It never ceases to amaze me that their relationship is still so strong. They’ve not seen each other since the beginning of April, but they slip back into those familiar sibling ways without hesitation. Saying that though, there are no more teenage squabbles and niggling, just a genuine friendship and a bond that doesn’t need words. A look between them is enough for them both to dissolve into giggles at a private joke that only the other one will understand! How did I end up with such amazing kids? Clever, caring, thoughtful and generally fab, I really am the luckiest mummy in the world! Thank you babies for being you and making the world a better place for us all! 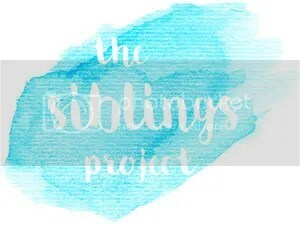 I am joining in with the Sibling Project this month, follow the link and go visit the others too!